Siachen Glacier is the highest battlefield in the world. Here a war is going on for the past fourteen years. It is a conflict where records of human endurance, flying and technical competence are being set nearly everyday. 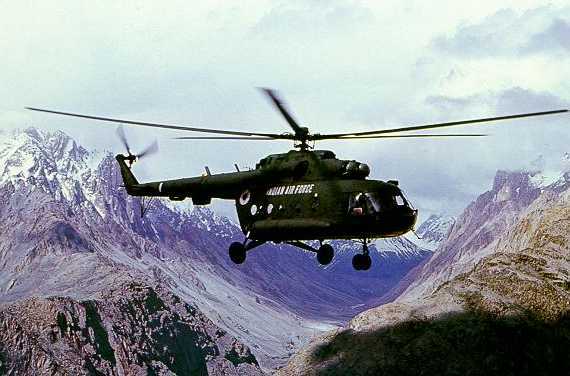 Op Meghdoot was launched on 13 Apr 1984 when the Indian Army and the IAF went into the Glacier. However, very few people know that the glacier operations started a full six years before that! Yes in 1978. It may seem odd to many but Siachen operations were launched in that year. I was fresh out of Helicopter Training School, a qualified helicopter pilot posted to 114 Helicopter Unit, then based at Jammu. The unit was commanded by a Sqn. Ldr. It had ten other Sqn.  Ldrs, two Flt. Lts. and here came a Fg. Off. Before I realized what was happening, I was given a dual check and found myself on detachment at Leh on 17 September 1978. The detachment went like a dream. The area was more beautiful than one could have ever imagined and the flying just out of this world. Halfway through the detachment came a commitment that I can never forget and which heralded an operation that continues to this day. Sqn. Ldr. K.D.S. Sambyal was the Detachment Commander. We were called to the Div HQ and briefed about a High Altitude Warfare School (HAWS) expedition led by Col. Narendra Kumar to a glacier called Siachen. A look on the map showed an area where we never thought one would ever be going. Col GS gave us a short brief on the genesis of the expedition - it was to show the flag on a territory, rightfully ours, but opened to foreign expeditions by Pakistan. Pakistan had also started showing the area as their own on their maps. To oppose this 'Cartographic Aggression', it had been decided to launch the HAWS expedition. The HAWS team that had gone to the Glacier was to be supplied with mail and fresh rations by the IAF. My logbook shows the date as 20 September 1978 when the first IAF sortie to Siachen was launched. The black snout of the glacier was, to say the least, imposing and menacing yet truly majestic. As we flew along, I looked left and right for force-landing fields. Where there were no crevasses there was only ice. But our Chetak had no skis. Never mind, the army jawan had to be supported and we pressed on. Came Camp I, the aircraft was brought to a hover, the sliding door opened and out went the "freah". A little ahead was Camp II and the same thing was repeated. Back at Leh when we were reliving the experience a thought occurred to us, "Why not pick up their mail for their people back home?" And so, when the request for the next sortie came in on 23 September 1978, we were prepared. Sqn. Ldr. J.K. Kaushik was now the Detachment Commander. The helicopter was brought to a hover, 'Chacha' opened the sliding window of the door and out went the main rotor tip cover at the end of a string. In the tip cover was a small note which said in Hindi that, "We are coming back in ten minutes. Please write your letters and put it in the bag." The Jawan retrieved the note and the Chacha pulled up the bag in a manner of drawing water from a well. And then the Jawan gave a smile and a salute that I can never ever forget. We repeated the same "water drawing" procedure at Camp II and came back to Camp I to pick up the letters, in 10 minutes as promised. Down went the tip cover and the Jawan put in a small object. We indicated to him to put in the letters but he did not react. Fuel was running short and we were a bit angry. Here we were trying to help them and they were not responding. Up came the bag, I put my hand in and found a Locula eye drops carton. It is still so vivid - it was a 10% solution box. In the carton was tattered piece of paper on which was written in Hindi, "SAHIB HAMARE PAS LIKHNE KELIYE KAGAZ NAHIN HAI. KRIPAYA KUCH LIKHNE KA SAMAN LE AIYE" - We do not have paper to write on, so please get us some writing material." I felt a lump in my throat, and when Sqn. Ldr. Kaushik read it I saw that he was no better. I had some free issue Armed Forces inlands which we dropped for them and thereafter made sure that their loved ones back home were never denied news about their people on the glacier, courtesy 'drawing water from well' method. The Flight Commander, Sqn. Ldr. Monga next came on as Detachment Commander. It was 06 October 1978; we were having coffee when a requisition came for a CASEVAC from Siachen Advance Base Camp. Where in the world was that? I was the only one of the pilots available that day who had flown over the glacier and thus found myself as a Co-pilot on what later proved to be a historic mission. That time of course we did not realise its significance. We took off with full fuel, and after the mandatory two orbits managed to cross Khardungla. The Nubra valley was negotiated and we entered the Siachen. Camp I and II (scenes of the drawing water episodes) passed by and we were over un-chartered territory soon. It was around 1400 hrs, both of us were on the Hookah (sucking oxygen directly from the tubes) and the Chetak was clawing its way in the rarefied air at 16,000 ft. The glacier floor and the hills were as white as white could be and the Chetak had no skis! I was on the map and though we had marked the coordinates on a quarter inch map sheet, there was no sign of the advance base camp. We flew past, where Kumar post now stands, and carried on ahead. Now, when I look back, we must have almost reached Indra Col and still there was no sign of the expedition. Fuel was fast depleting and the shadows were lengthening; so we turned back. For some reason Sqn. Ldr. Monga said that he would fly on the left of the valley. We were desperately trying to scan the glacier for some movement and soon saw a group of about ten figures waving at us. The expedition had been sighted. Sqn. Ldr. Monga did quick low recce, found a place and landed. It must have been 15,500 ft. I distinctly remember the right wheel sinking in about six odd inches but then it held. The controls were handed over to me and Sqn. Ldr. Monga got out to open the sliding door. Two casualties got in and if my memory serves me right, one was an officer and the other a Jawan. Sqn. Ldr. Monga got in, took over controls and executed a take off, perhaps one of the most hair raising though as skillful as I have ever seen. People who have flown the Chetak will understand what I mean, considering the altitude, the temperature and the area from where it was done. The return to Thoise was uneventful. the logbook says Chetak Z-1410 Sqn. Ldr. Momga/Self Leh - Siachen Adv Base Camp - Thoise, 2 hrs 50 mins. The first landing on the Siachen Glacier had been carried out. One could never have imagined that by 1984, when Op Meghdoot was launched, it would become a routine day in and day out procedure, braving enemy fire and that it would be continuing in 1998 too. The intervening twenty years have seen the operations increase in size and intensity. The enemy has tried on very many occasions to dislodge our Jawans from the vantage positions occupied by them - but has had to beat a hasty retreat each and every time. The Jawans stay in conditions that defy description - miserably cold, with temperatures going down to -60º C, where the weather clamps down for days at a stretch, preventing supplies from coming in. In such conditions the life-line to the outside world is the Indian Air Force. Siachen air operations of today are a far cry from the "drawing water from the well" procedure of 1978. They are scientifically planned and executed meticulously - for both supplies and human lives are precious. Air maintenance starts from Chandigarh from where IL-76s and An-32s ferry in supplies and men to Leh and Thoise. Thereafter, medium lift M-17 helicopters air drop loads on to lower level helipads on the glacier - by lower levels I mean helipads up to about 17,500 ft! 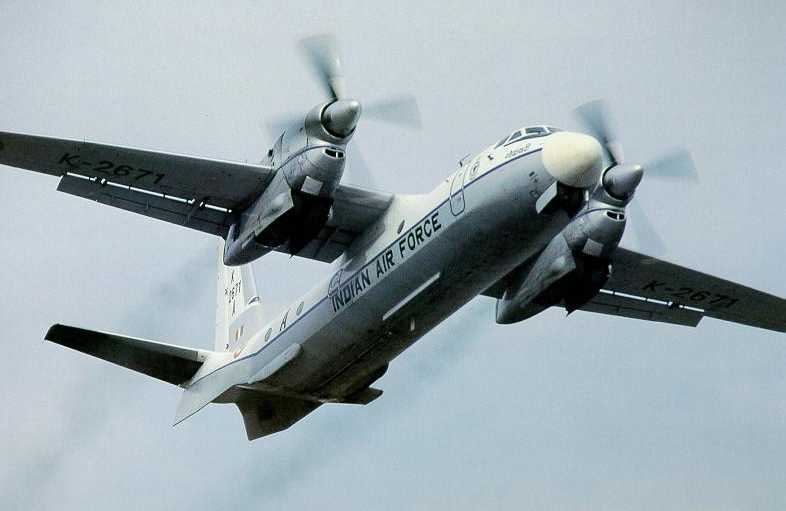 Air dropping of supplies is also done by An-32s at special dropping zones. The Cheetahs then take over the challenging task of ferrying supplies and men to helipads situated up to about 20,000 feet. All operational sorties have an element of risk involved in them, especially if they are over an inhospitable terrain like the Siachen Glacier. The pilots have to brave temperatures as low as -60º C, strong winds, lack of oxygen and flying in poor weather conditions in close proximity of hills. There is always the threat of powerful downdrafts that pull the helicopters down, if the pilots are not careful. Added to that is the fact that the helicopters are flying at the edge of their flight envelope where the power margin available is small, if not negligible. Any miscalculation or mishandling of controls can result in a catastrophic accident. Over and above, there is the omnipresent threat of enemy fire. The pilots fly fast and low to give the minimum reaction time to the enemy. 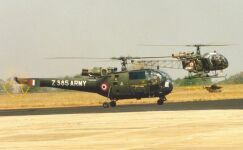 The landing on the match box sized helipads is precise; the Army Jawans open the door, take out the load, put in the mail/casualty and the pilot executes a take-off - in the reciprocal direction. The total time on the helipad does not exceed 2 to 30 seconds. The return to the Base Camp is fast, a quick turn around of the aircraft is done while the pilots have a cup of tea and the aircraft takes off for the next mission. 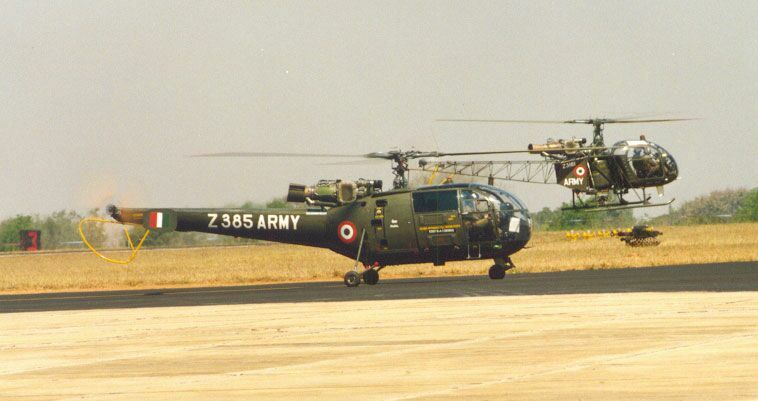 The technical staff are doing a marvelous job of keeping the helicopters in flying fit condition. They work in sub-zero temperatures where the skin sticks and peels off if any metallic part is touched. Since the aircraft are generally flying at the extremes of their flight envelope, the snags are also higher thus requiring a higher amount of maintenance. Sometimes snags occur at forward helipads requiring rectification within sight of the enemy. A world record of sorts was created when an engine change on a Cheetah helicopter was done at 20,00 feet under threat of enemy fire. The IAF technicians operating in the Glacier are the true unsung heroes of Op Meghdoot. Siachen is where only one type of pilot operates - the brave and a notch above the average; where only one type of technician succeeds - once again the brave and a step above the average. But what keeps these pilots and technicians going in such harsh conditions? It is plain and true "JOSH" and the spirit to ensure that the enemy does not cast an evil eye on what is our Motherland. Commissioned in December 1976, Wing Commander M. Bahadur is a A-2 QFI and a Test Pilot who commanded 114 HU from November 1994 to September 1997. He is currently working at Air Headquarters. This article first appeared in "IAF '98" published by Air Headquarters.